Many of you know Holly Schindler, the fabulous emerging Young Adult author. You may have read her debut novel, A Blue So Dark, and/or the brand-new Playing Hurt, which is getting rave reviews. But...do you know her friend Jake? I first knew Holly had a pup when she tweeted, during the tough winter weather, that her dog Jake was so bored she might have to teach him to fold laundry. That jumped out to me, because Ella folds laundry. Seriously. I set clean laundry on the bed, she presses creases into it. Never in the right places, though. Unfortunately. Holly writes, "Got some puppy for you! 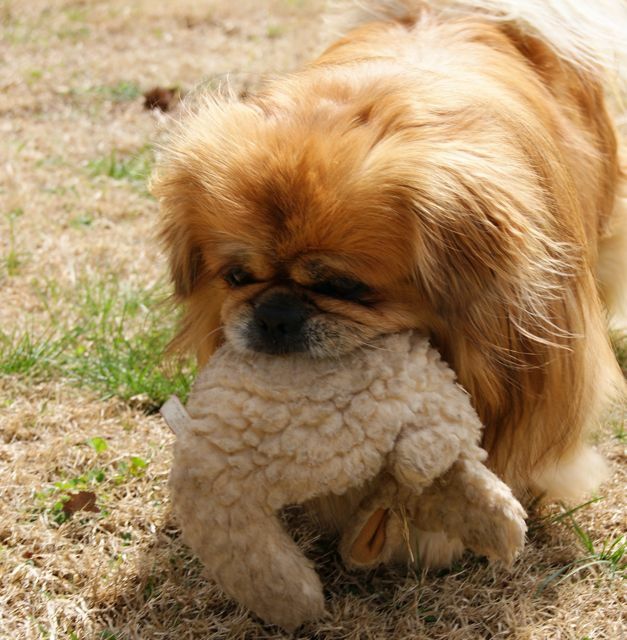 I've attached a pic of my dog, Jake, and his baby, 'Roo. "Ahh, ‘Roo…a kangaroo-shaped squeaky toy that came home the same day Jake did…more than seven years ago! Instead of attacking or “killing” ‘Roo, Jake treats him the same way kids treat teddy bears…cuddling with him, sleeping with him at night. In fact, if you ever hear of a storm hitting SW Missouri at night, you can pretty much assume I’m out in it, flashlight in hand, rescuing ‘Roo from the backyard so that Jake will finally let us all get to bed. "But Jake came into my life in ’03, when I was a couple of years out of grad school—at that point, my manuscripts had resulted in nothing but an extensive collection of rejection letters, and I was in need of a little love. I always say Jake came from the breeder and I’m the rescue dog. "…So what’re a few nights in the rain, in exchange for rescue? "Thanks, Catherine--love the puppy idea for the blog... Congrats on the forthcoming DON'T LET ME GO! Okay, I could have cut her off before the plug for my newest book, but that would be rude. Right? And, here they are, Jake and 'Roo. A winning pair. Eviscerated Clown Completely unstuffed "Green Toy"